Every year, when a Hunger Games film is about to hit theaters, the cast members are almost never omitted to be asked about on-set pranks during press interviews, show guestings and magazine features. And this year is no exception. 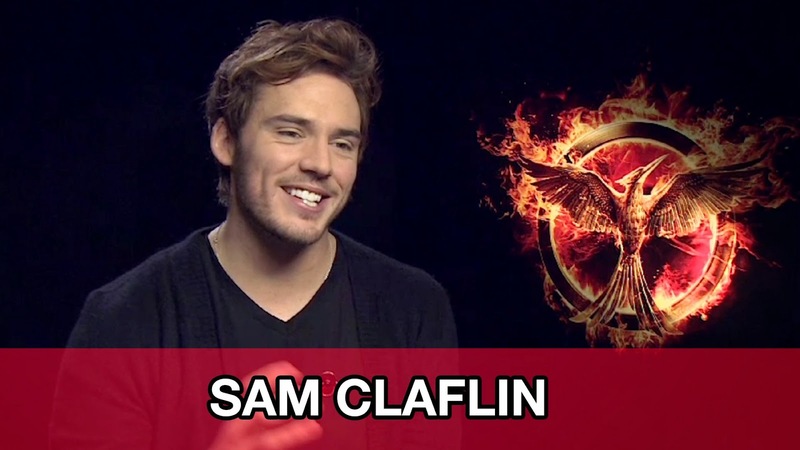 In a new interview with IrishExaminer, our Finnick Odair Sam Claflin talked about pulling a prank on Jennifer Lawrence in a dark tunnel where Josh Hutcherson was also secretly in. Read the interview below. “There was a tunnel with no lights, so when you opened the door, that was the only light source. We were daring each other to stand in there for 30 seconds and then we’d close the door and it was pitch black and you could hear things like the road going over the top, it was quite an experience. “One day we decided to put Jen in there, but hide Josh in there as well before she got there. So she had no idea there was anyone else in there, she thought she was just going to be in there, she thought she was just going to be strong for 30 seconds. In an interview with MTV during the UK press junket, Sam also briefly talked about the same story, however he did not specifically give details about the prank on Jennifer. Watch the interview below where The Hunger Games: Mockingjay Part 1 cast members Jennifer Lawrence, Josh Hutcherson, Liam Hemsworth, Julianne Moore and Elizabeth Banks also shared what they think were the funniest behind-the-scenes moments on set.